50% of organizations have 3 or more ECM, Document Management and Records Management systems, in addition to continued reliance on network file shares, content stored in email systems, local drives and personal file sync and share services. Efforts to replace and consolidate the systems where all this information exists often fail, as there are simply too many dependencies on existing systems and forced migration is just too disruptive. 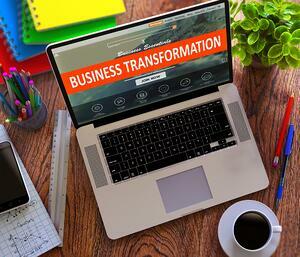 Digital transformation is the adoption of technology that allows adaptation of business processes. Sure, that's simple enough to digest, but what does this mean in practice? Metrics from an AIIM survey on the State of Intelligent Information Management show that companies are struggling with digital transformation initiatives, albeit, the concept has existed for arguably decades. Survey results note less than 1 in 5 organizations were "near" where they wanted to be regarding the core transformation challenge of "understanding, anticipating, and redefining internal and external customer experiences." And if you were to ask the innovators at these companies why they were not where they wanted to be, they'd likely describe (with exasperation) that managing a digital transformation initiative is a bit of a moving target. Two key culprits: rising information sprawl and poor content integration. The number of content systems companies have has grown nearly 30% over the past 5 years. Compound that issue with a reported rise of 54% of critical business content residing outside of those content management systems. So how to you tackle a successful digital transformation? M-Files partners with Lewan to help customers develop a plan to address these and other challenges customers face in the digital transformation process. The M-Files, metadata-driven platform is unique in the industry, delivering a unified experience for managing information residing in any system or repository, such as ECM solutions, file sharing services, network folders, SharePoint, CRMs and ERPs. Through our partnership we empower organizations to discover and unlock the value of information without disturbing existing systems and processes or requiring data migration. Coming to the Lewan Tech Expo on June 14th? 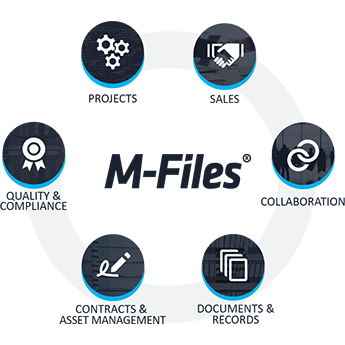 Visit the M-Files booth to learn more about how the Lewan and M-Files offering can benefit your company on its journey to digital transformation euphoria. Let's make it fun! The first 50 attendees to come to our booth and mention this post will receive a Broncos fidget spinner. Plus, in addition to all the great prizes Lewan is raffling off, we’re having an additional booth prize drawing for a $100 gift card to NFLShop.com and other fun prizes. Hope to see you there!